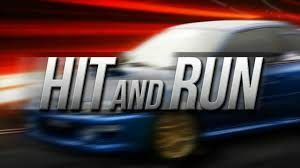 After a fatal hit-and-run, the Virgnia State Police are seeking the publics help with the investigation. The crash reportedly happened on Tuesday Night in Lee County around the Woodway community. A motorcycle traveling on Route 368 when it was hit by another vehicle. The vehicle that struck Tabor fled the scene. Officers believe the vehicle is blue in color and most likely has damage on the front end. Anyone with information in the case is asked to contact the Virginia State Police at 276-228-3131.